Krav Maga Tactical Training Options, has been teaching Defensive Tactics to Law Enforcement, Military, Government Officials and Civilians for 20 years. 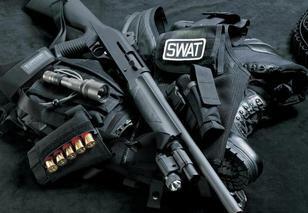 Our courses include: Defensive Tactics for Law Enforcement, VIP Protection, Counter-Terrorism, Tactical Driving, Car Jacking, Hostage Situations, Active Shooter Response, Hand-to-Hand Combat, CQB/CQC Training, Israeli Combat Shooting with Handgun, Long Gun, and Tactical Shotgun. throughout the United States as their primary Defensive Tactics Program. This course will be held in the beautiful country of Parker Colorado. This is a 5 day course of learning the MOST current and up todate Executive Protection techniques and Tactical Driving skills and a FULL DAY of VIP Tactical Shooting. This professional course has an extremely low price of only $1000 (reg.$2600) space is limited. Please call Marty Cale at 479-871-7172 or Rob Rosso at 404-599-2937 for additional informaion. Law Enforcement. Upon completion of this course you will be certified to teach Krav Maga Defensive Tactics to your Department or other agencies.